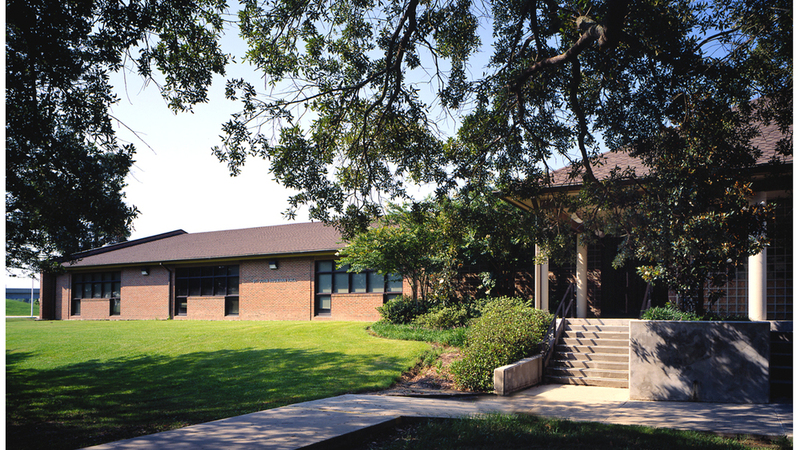 In 1993 POST ARCHITECTS developed a Master Plan for St. George Catholic Parish to expand its elementary school facilities, renovate existing administration offices and add a new parish hall for multi-purpose church functions. The new classroom building was designed in an L-shaped plan to designate grade locations and allow for future "wings" to complete a square form. The new library serves as the buildings' hub. A new courtyard serves as a morning gathering space and play area. The new 18,500 square foot classroom building includes 12 classrooms, restrooms, a science lab, computer labs and a library.